With all the new payment innovations on the scene, it seems like the paper check is the party guest that failed to RSVP and refuses to leave. Payments can be issued on a recurring or a non-recurring basis for a variety of purposes, from paying employees working the 9-to-5 grind, to getting insurance claim money to policyholders, to reimbursements for out-of-pocket expenses. And these payments can be disbursed using one of several different payment options that can make it easy for the recipients to access and use the funds quickly. These options include digital wallets, prepaid cards, debit card deposits — and yes, the practically prehistoric paper check. Enter the brand new PYMNTS.com Disbursements Tracker, powered by Ingo Money. Each month, the Tracker will look at the latest news and trends and the ways various players in the payments space are upending how different types of recipients get access to their money. The Tracker also includes a data-rich Deep Dive that looks at how a specific industry is incorporating disbursement tools into their operations. This month, the Deep Dive takes a look at changes coming to the insurance industry as a result of new disbursement tools. From airline passengers to insurance claimants, several companies recently introduced new solutions designed to make it easier and more efficient for recipients to get access to their money. In the travel industry, travel payment solution providers AirPlus International and FCM Travel Solutions teamed up to integrate the companies’ booking and payment services to help corporate clients get access to a single invoice for work-related travel. Another development from Allianz Global Assistance aims to make it easier to file and get paid for travel-related insurance claims. Beyond travel-related insurance, several companies have also launched solutions aimed at helping home, life and auto insurance claimants get quicker access to their money. Insurance software provider EIS Group launched a new claims management solution to help streamline the disability claims process. Meanwhile, Visa and Ingo Money recently partnered to launch a gateway solution for insurance companies to send claimants’ funds via push payments. Drew Edwards, CEO of Ingo Money, recently estimated there is a potential $30 trillion worth of payments to be delivered using push payments. Time to Cash Out the Check…For Good? With the arrival of these new payment tools capable of disbursing such high sums of money, the question remains: Why do some companies still make payments using checks? 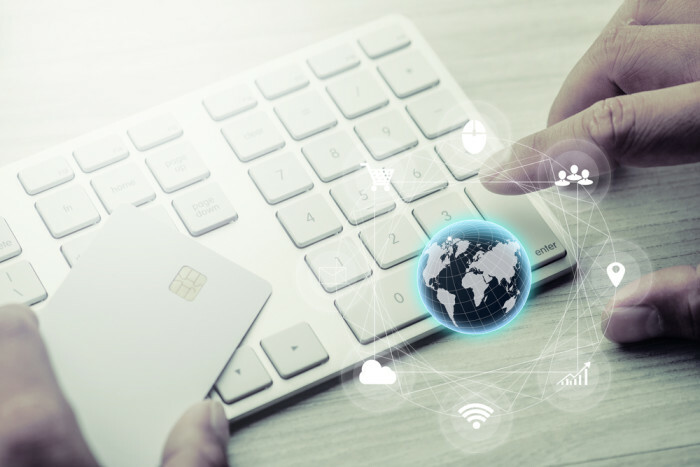 For the inaugural Disbursements Tracker feature story, PYMNTS’ Karen Webster spoke with Cecilia Frew, SVP of push payments at Visa Direct, about how push payments could be the beginning of the end for the paper check. All that, plus a directory and profiles of 26 providers offering services related to payment networks, payment methods, settlements, enabling platforms and more.